Berkey Pond Kits are intended for use in pond installations where both system functionality and visual appeal are a top priority. Berkey Pond Kits are compatible with both rubber lined and concrete lined ponds. Both system styles incorporate numerous advantages only available with a Berkey Pond Kit including Filtrific Professional Water Feature Equipment. 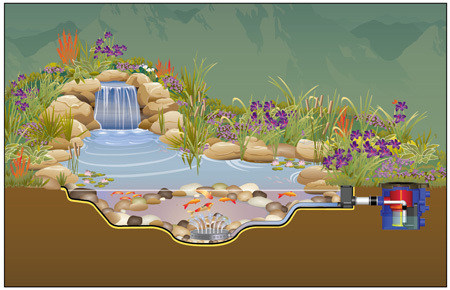 Typically incorporating a waterfall which falls directly into a pond, the “Traditional Pond” setup can be fairly simple in design but incorporates advanced pond technology to keep the system free of floating debris and to reduce the amount of algae growth. In addition to skimming debris from the surface of the pond the door skimmer allows for a varying operational water level in the system. This is very helpful for systems which do not have an auto-fill device installed and lose water due to evaporation. Additionally, the door skimmer's compact design is easy to disguise into the edge of the pond. In addition to surface skimming, each Berkey Pond Kit also includes a bottom draw disc to pull debris from the bottom of the pond. 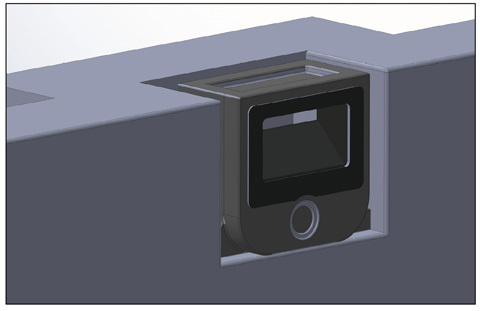 The bottom draw disc connects to a port on the front of the door skimmer, eliminating the need for a second liner penetration. The Hybri-Pond System Design features a waterfall with a stream flowing into the pond. Two pumps and underground water storage are utilized in this type of system to allow for the waterfall to be turned off. This will result in significant energy savings and reduced evaporation while maintaining water quality with the smaller circulation pump. The pump operating the waterfall and / or stream and can be turned on and off at will. Built into each Hybri-Pond system is sufficient water storage to contain the water in transit from the waterfall & stream when the system is turned off. 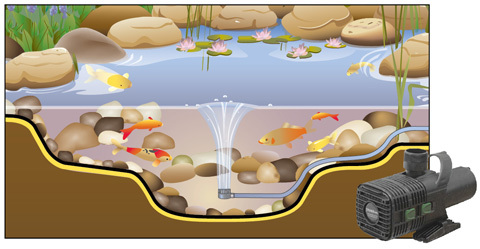 The circulation pump is a low flowing pump which runs continually to help oxygenate the water in the system which helps to promote a clear pond. 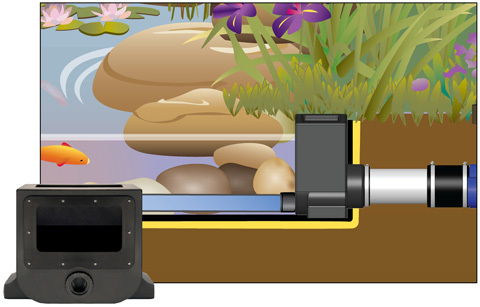 The low-profile fixed skimmer allows for water to be skimmed from the surface of the pond at a fixed level. 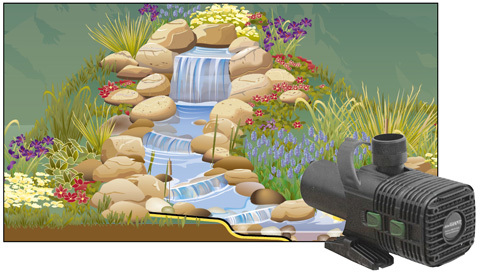 This allows for a constant water level in the pond regardless of wether or not the waterfall and stream are running. 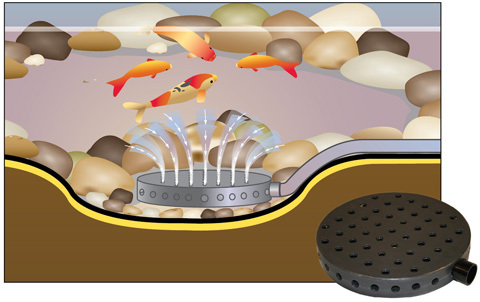 The Fixed Skimmer is most commonly used with water features utilizing additional underground water storage. 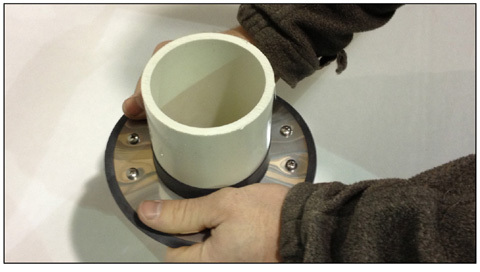 Berkey pond kits are compatible with both rubber and concrete liner installations. Both the door and fixed skimmers can be utilized with either lining option. Both the Door and Fixed Skimmers can be placed within a concrete lined pond. A notch should be placed in the concrete wall to allow for secure placement. 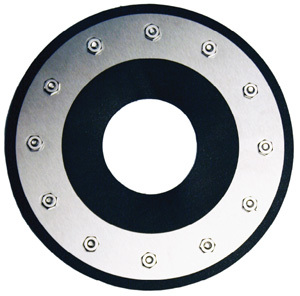 Stainless-Steel In-Wall Skimmers are also available for cast in place installations. The concrete watersop is included with the Stainless Steel In-Wall Skimmers and can also be purchased separately. 1. Stretch the waterstop over the pipe. 2. Place the Rubber collar over the rubber band on the waterstop. 3. 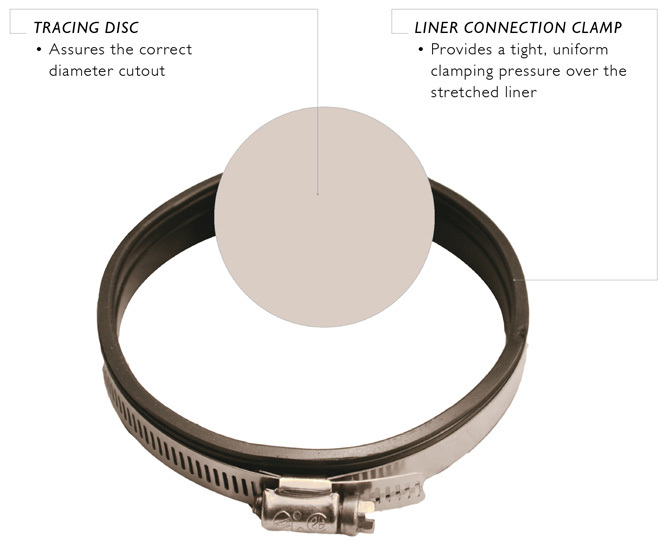 Place the stainless steel band over the collar and tighten the clamp. 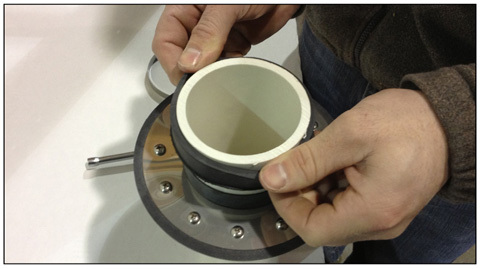 By utilizing the liner connection method (next section) either a door or fixed skimmer can be securely attached to a pipe protruding through the liner. 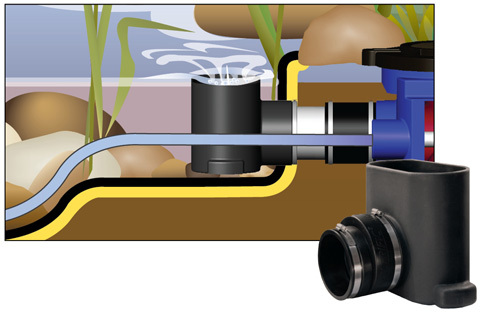 Included in each Berkey Pond Kit is a rubber liner connection kit which provides a secure connection to rubber liner. 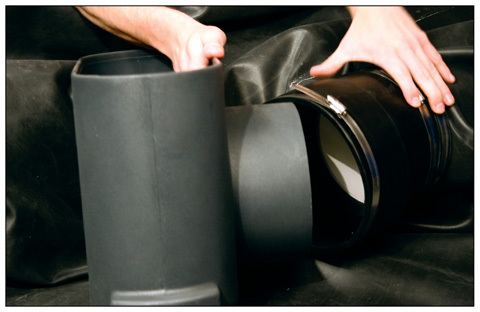 Follow the steps below for an easy and efficient connection to rubber liner. Run a pipe from the Filter Tank to the rubber liner. Use the tracing disc to draw a circle on the liner at the center point of the pipe. Stretch the liner over the pipe; this creates a tight bond around the pipe. 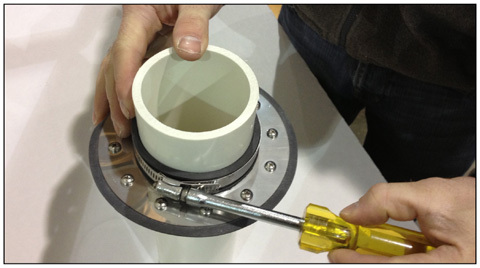 Slip the rubber lined stainless steel clamp over the liner and tighten.